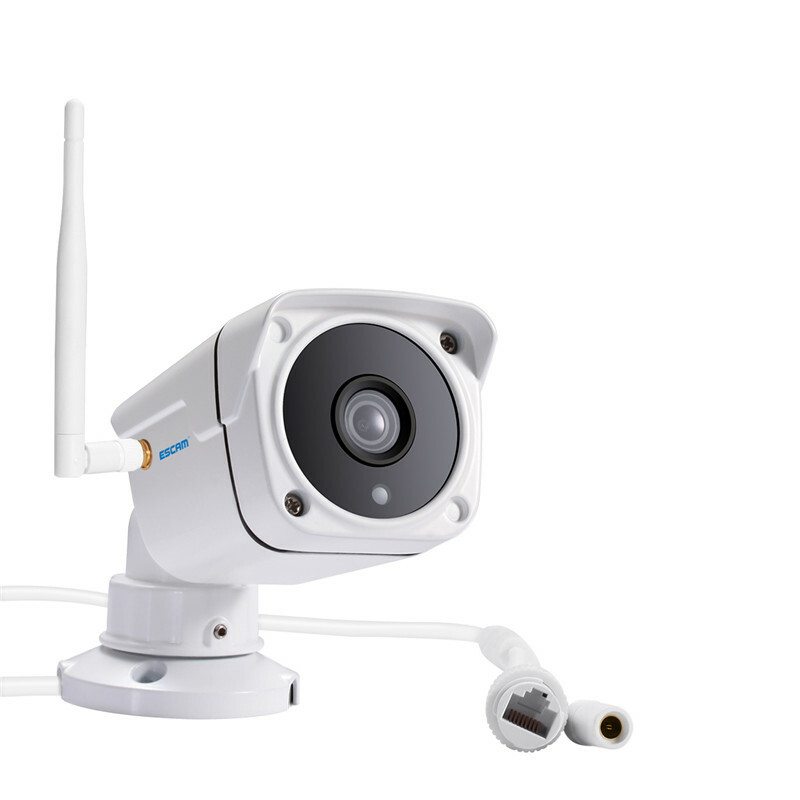 Successfully Added ESCAM PVR001 ONVIF HD 720P P2P Private Cloud Waterproof Security IP Camera to your Shopping Cart. The PVR001 IP camera is a state of the art security camera from ESCAM, one of China's leading security camera manufactures. With its 1/4 Inch CMOS sensor it is able to capture video footage in highly detailed 1280x720 resolutions. So its superb for keeping a watchful eye on your valuables whether at home or at work. To ensure you have round the clock surveillance this IP camera is equipped with IR Cut so it can switch from daytime to nighttime mode when darkness comes. Able to operate effectively at 0.01 Lux this camera can record in detail on a cloudless starlit night and confer 10 meters of night vision so you can cover large areas with this one device making it ideal for offices, warehouses or your home. By installing the iOS or Android app on your smartphone you will be able to monitor the video feed remotely and up to 6 users can view the camera feed at once so it becomes easy to coordinate your security team with these cameras installed around your property. Naturally, as this IP camera comes from one of the leading security cam manufacturers it is compliant with ONVIF protocols so will work seamlessly with all the major band security systems out there.